Stock trading for the average investor used to be a challenge. High brokerage fees, commissions, fund loads, and account minimums prevented those who did not have a sizeable bank account from entering the markets. 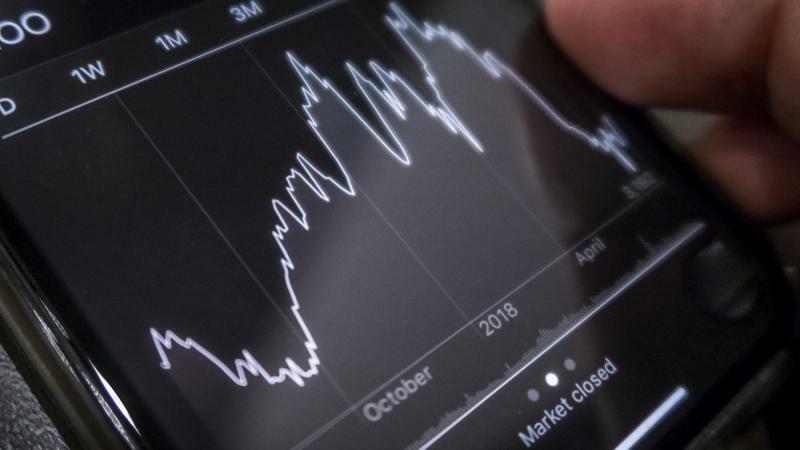 Nowadays, it is much easier and cheaper, thanks to discount online brokerages that offer cheap or even free trading, low commissions, and no account minimums. Even better, some online stock brokers offer cash incentives or other perks for their customers. As such, here are four stock trading platforms that offer free trading, signup bonuses, or other benefits for investors. This stock trading platform is a completely free trading app available for smartphones. The signup and account funding process can be completed quickly, and new customers are typically approved in under an hour. The app’s instant bank verification feature means that customers are not waiting several days to receive and report on a small deposit in their bank accounts. Once approved, they can fund their accounts with up to $1,000 and start trading right away. Larger deposits can be made but will take a few days to clear. Investors should be aware that Robinhood is a bare-bones trading platform and doesn’t have all the benefits of a more traditional online brokerage. The site offers limited securities, and mutual funds and bonds aren’t available through this platform. Likewise, no 401(k) or IRA accounts are supported. Finally, most customer support occurs via email and physical offices do not exist. This web-based platform offers equity trading at just $4.95 and requires no account balance minimum. For active traders that make 30 or more trades per quarter, the commissions drop to just $3.95 per trade. Options are priced at $4.95 and 65 cents per contract, or $3.95 and 50 cents per contract for active traders. There are also over 100 commission-free ETFs available from WisdomTree and BlackRock. No-load mutual funds are priced at $9.95, and mutual funds that charge a load have no commission. While Ally provides excellent chat, email, and phone support, it also has no physical branches. Although E-Trade isn’t the lowest priced discount broker, it makes up for this with its educational resources and information-packed platforms. The site charges $6.95 per trade, which is a bit higher than other online brokers. However, for active traders who complete 30 or more trades per quarter, the price drops to just $4.95 per trade. Options are priced at $6.95 plus 75 cents per contract, or $4.95 plus 50 cents per contract for active traders. Account minimums are $500 unless they are IRAs (which have a $0 minimum). E-Trade operates two different web-based platforms — the regular E-Trade Web-based platform and Power E-Trade. The regular platform offers current stock quotes, company news and financial information, analyst research, and stock screeners. E-Trade Pro offers all this plus real-time data, technical analysis of chart trends, prediction functions, over 100 technical studies, 30 drawing tools, and much more. This discount brokerage operates via its parent company, Bank of America, as a web-based platform and mobile app. Plus, Merrill Edge offers a premier, real-time training platform for customers, called Merrill Edge MarketPro. Stock and option trade commissions are $6.95, plus 75 cents per options contract. However, if customers maintain a combined balance of $50,000 or higher in their Bank of America and Merrill Edge accounts, they can receive 30 free trades each month. Alternately, they can receive 100 free trades with a combined account balance of $100,000 or higher. Because Merrill Edge used to be Merrill Lynch before it was acquired by Bank of America, the company offers extensive investment research and information for its customers. The site also partners with third-party providers such as Morningstar, Trefis, Recognia, Lipper, and CDRA to provide stock and mutual fund reports. In addition, there are webinars, courses, articles, educational videos, and other educational resources to peruse at will. One example is “Merrill Edge Select Funds,” which are mutual funds that Merrill Lynch investment professionals have researched and evaluated. Investing in stocks and other equities is a great way to make a passive income, increase one’s net worth, or even earn money via day trading. In short, investing in the stock market enables investors to make their money work for them. With free trades, cash bonuses, and other perks offered by select discount brokers, investors have even more reasons to open trading accounts and begin making money from the stock markets.